The veteran demon hunter series Supernatural is ending, with the cast announcing that the upcoming fifteenth season will be its last. 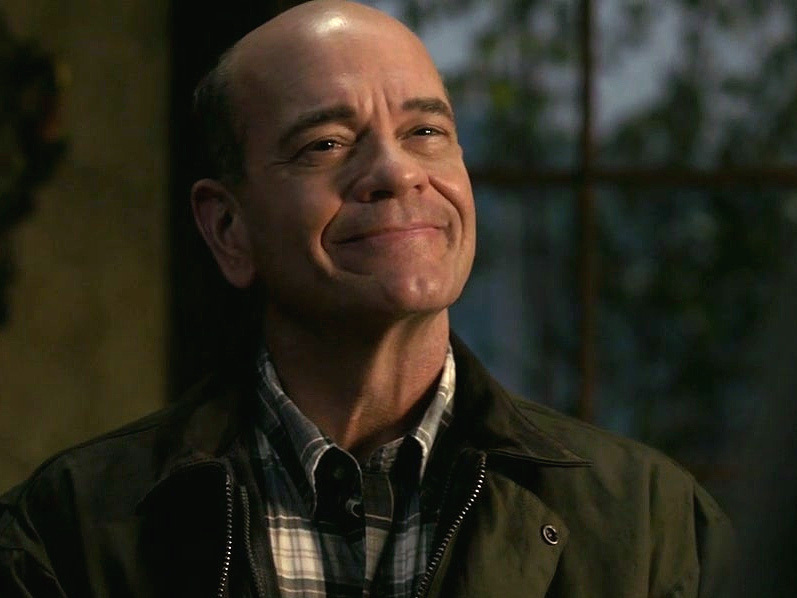 And while the final episodes won’t hit the airwaves until 2020, we thought this was as nice a time as any to celebrate Supernatural — and its Stargate crossovers! The show made its premiere all the way back in 2005 (when Stargate SG-1 was in its ninth season). 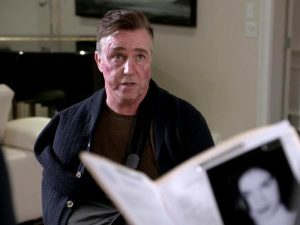 With 15 seasons and hundreds of episodes, Supernatural has become a mainstay on The CW and a cornerstone of the Vancouver film and television community. 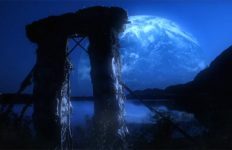 Sam and Dean Winchester’s adventures grabbed the record for the longest-running genre show produced in North America — a record held by Stargate SG-1 before it was surpassed by Smallville. 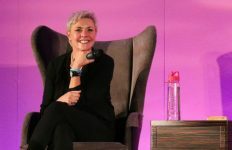 Now in its fourteenth year, it’s almost easier to find a list of Stargate cast members show haven’t been on the fantasy drama. Like Stargate, Supernatural films in Vancouver, British Columbia. And because both franchises boast production lasting well over a decade, you pretty much can’t throw a rock in the city without hitting an actor who has been on one or both series. That means that fans of both shows have enjoyed plenty of familiar faces over the years. Here we are running down a whopping 28 familiar faces you know from Stargate who have also appeared on Supernatural. Can you think of others who are not listed here? Naomi is among the most powerful of the higher angels, who led a faction in an angelic conflict over Heaven and its leadership. Today her particular charge is to bring once rebellious angels to heel, making them obedient once again. Amanda’s run on the show starts in 2012, when Naomi whisked Castiel to Heaven to inform him that he is to help Sam and Dean … and also report back to her about their activities. 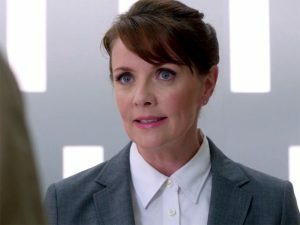 She appears throughout Season 8, during which time she brainwashed Castiel and forced him to work toward her interests. Though Naomi was believed to have been killed, after several years away Amanda returned to Supernatural in Season 13’s “Funeralia,” and again this season with the episode “Byzantium.” Today she is a complicated ally, sometimes manipulating characters to do what she wants and at other times offering much-needed help to them. 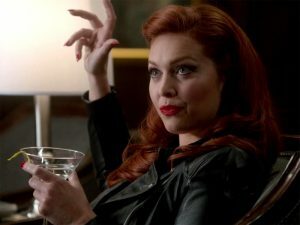 Alaina’s Supernatural arc stretches through Seasons 8 and 9. Long ago Josie Sands was an initiate in the Men of Letters, an order of observers and chronicles of the supernatural. There she knew (and fell in love with) the Winchesters’ grandfather, Henry. But before she could be inducted into the order Josie was possessed by a powerful demon: Abaddon, who posed as Josie for a time and set out to destroy the order. Even after she was killed, Abaddon was so powerful that she reconstituted Josie’s body to continue her rampage of terror. After his introduction in 2008’s “In the Beginning,” Mitch Pileggi returned in a recurring role through several more episodes in 2010 and 2011. 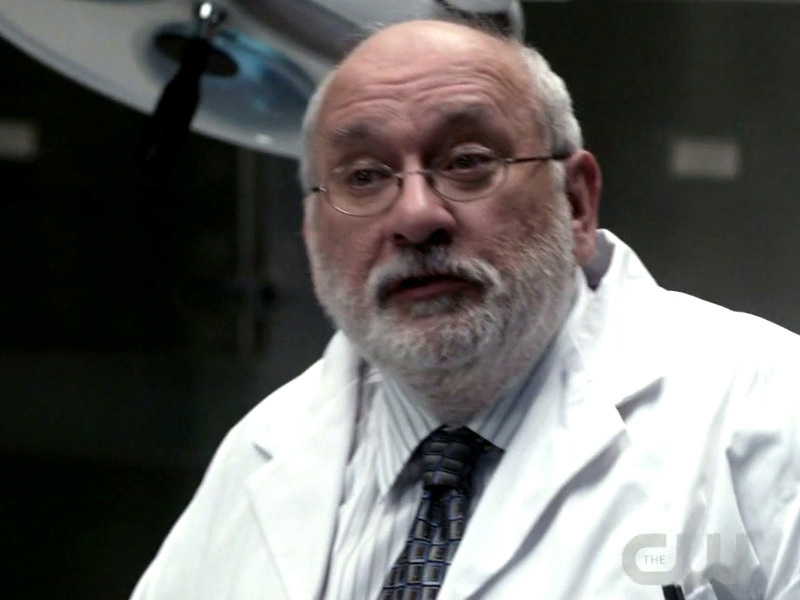 Samuel Campbell was the father of Mary Winchester, and grandfather to Sam and Dean. Grandpa Campbell had a rough go, possessed by the Prince of Hell, Azazel. He was killed and later resurrected, only to be later shot dead when Sam was possessed by the evil Khan worm (“And Then There Were None”). 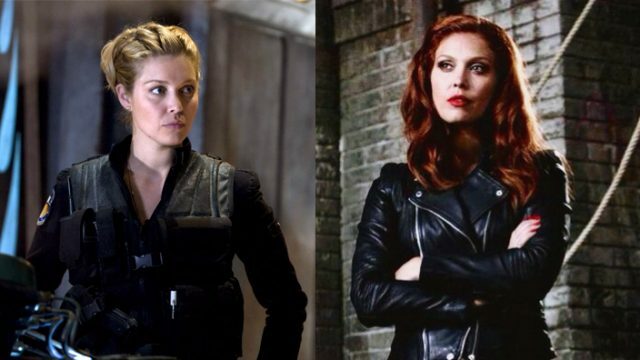 Another significant recurring character in the early years is Anna Milton, played by SGU‘s Julie McNiven during Seasons 4 and 5. Anna was a fallen angel, who determined to experience the life of humanity by cutting out her own “grace.” After falling to Earth she was reborn as a human girl, growing up in Ohio with the memories of her original identity suppressed. But as she grew her angel abilities began to manifest, prompting Sam and Dean to fight to protect her from evil forces until she could restore her grace — and, with it, her powers. In “The Girl Next Door” (2011) Jewel plays the very girl-next-door sounding “Amy Pond.” An old friend of Sam’s, Amy once saved his life by protecting him from her mother. As it turns out, like her mother Amy is a kitsune — a werewolf-like creature that looks more like a fox when it transforms. With super-strength and speed, the kitsune feeds on the dead — so Amy eventually attracted the attention of the Hunters. 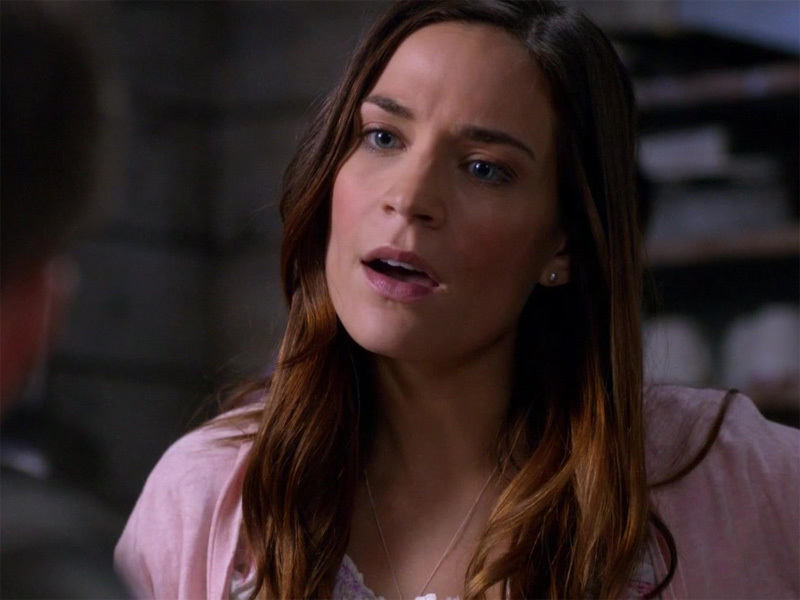 Dean ended up killing Amy to stop her, causing a painful rift between the brothers. 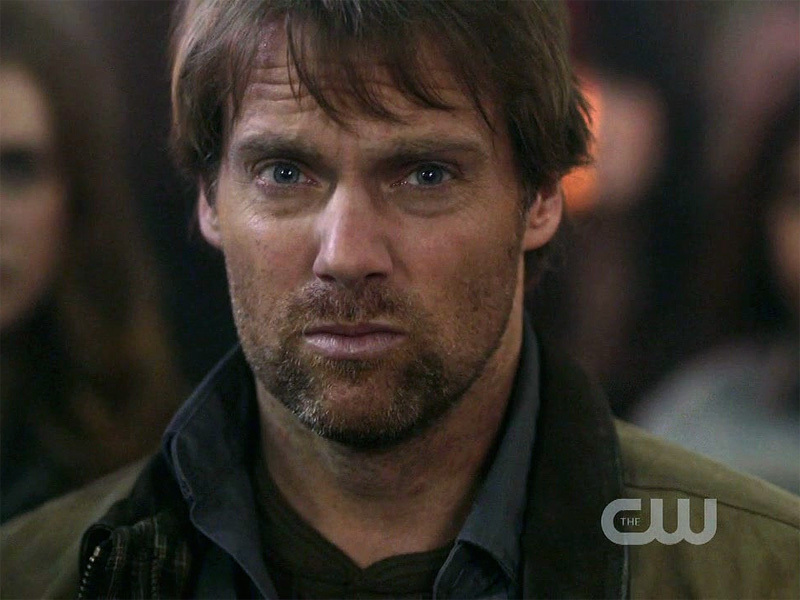 Michael’s turn on Supernatural came in 2010, after Stargate SG-1 had ended. 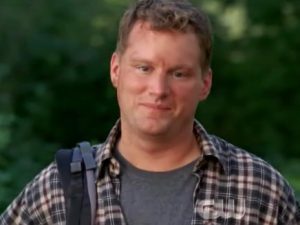 In Season 5’s “99 Problems” he plays Rob, part of a religious community of people who have been training to fight demons. Having lost their son to a demon, Rob and his wife Jane were convinced to follow a woman named Leah as a prophet. After coming to Sam and Dean’s rescue Rob introduces them to the other townspeople, and the brothers come to realize that … well, all is not as it seems. 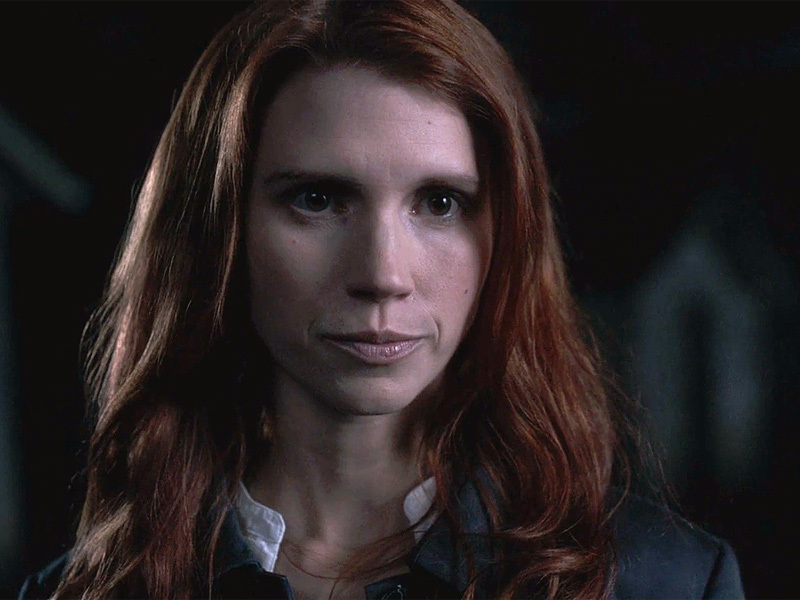 Corin’s character of Christian Campbell appears over a 4-episode arc in the first half of Supernatural Season 6. A cousin of the Winchesters, Christian was in the family business as a Hunter. Eventually, though, he would become possessed by a demon in the service of the evil Crowley (Mark Sheppard). “Clap Your Hands If You Believe!” In this sixth season episode Sam and Dean investigate a UFO sighting in Indiana, where Dean is abducted … only to discover that they are dealing not with aliens but a world of fairies, elves, gnomes, and leprechauns. Before you can say “Lucky Charms” Sam has met Wayne Whittaker (Robert Picardo), a UFO chaser who doesn’t seem to have much to offer Sam in the search for his brother. But in a twist ending, Wayne turns out maybe to have a pot o’ gold of his own. 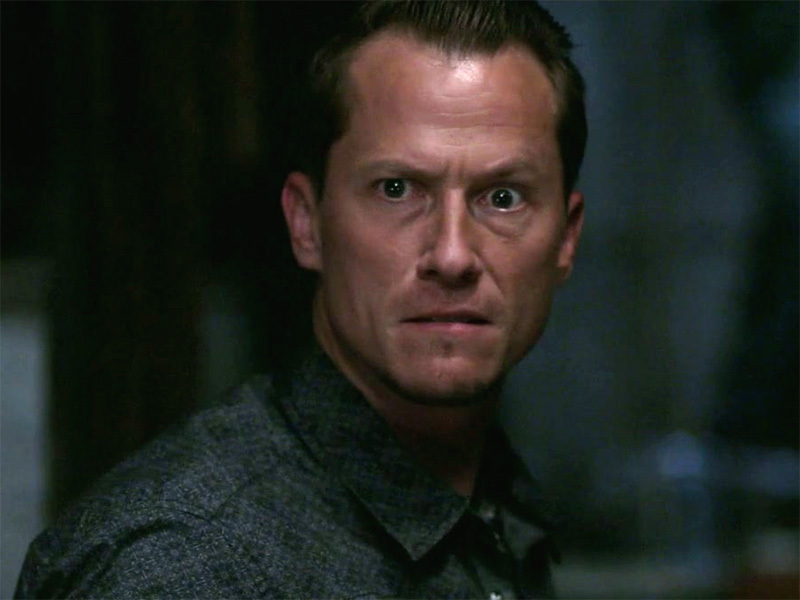 A major villain in Supernatural‘s fourth season, the sadistic Alastair is Hell’s torturer and a powerful white-eyed demon. Dean first encountered Alastair when he was sent to Hell, where the demon was ordered to torture him. Later Sam and Dean turned the tables on the demon and captured him, hoping to extract intel to stop the murder of angels. 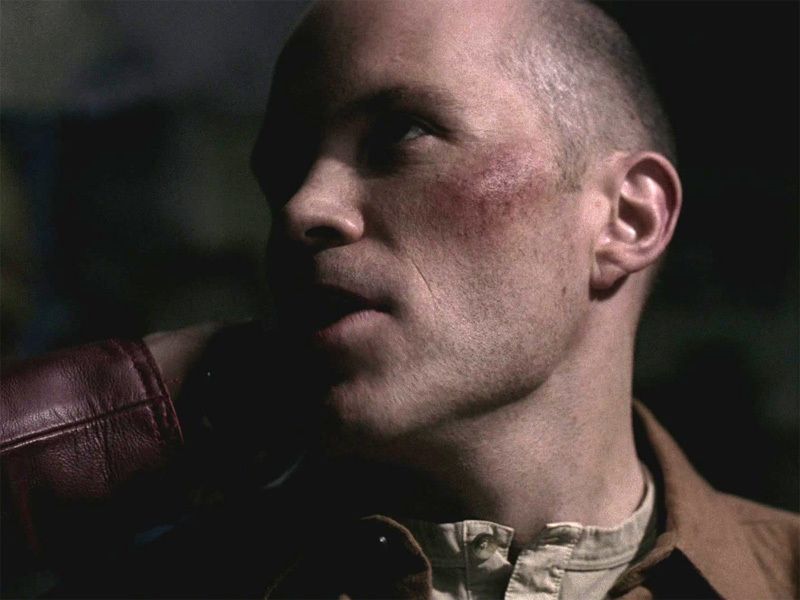 Alastair was responsible for helping to set the Apocalypse in motion, and was killed by a super-powered Sam. In Season 5’s “The End” Lexa plays Risa, a follower of Dean in a post-apocalyptic future. 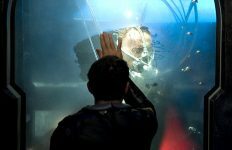 The present-day Dean met her when the angel Zachariah zapped him five years into the future, where a demonic virus is turning humans into zombies. Although Future Dean and Risa seem to have been romantically involved, our Dean ended up sending her on a mission that very likely got her killed. 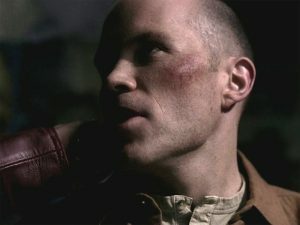 After playing a victim of Doc Benton in Season 3’s “Time Is On My Side,” Kavan was cast again six years later in “Blade Runners.” His character Cuthbert (a.k.a. Magnus) appeared in two episodes, revealed to be a “Man of Letters” and a powerful user of magic. A friend to Henry Winchester, Cuthbert established a hidden manor where he collected rare supernatural antiquities — including a number of monsters, some of which Sam and Dean had to fight in order to prove themselves. Garry Chalk was one of our favorite SG-1 frenemies, in his role as Russian Colonel Chekov. 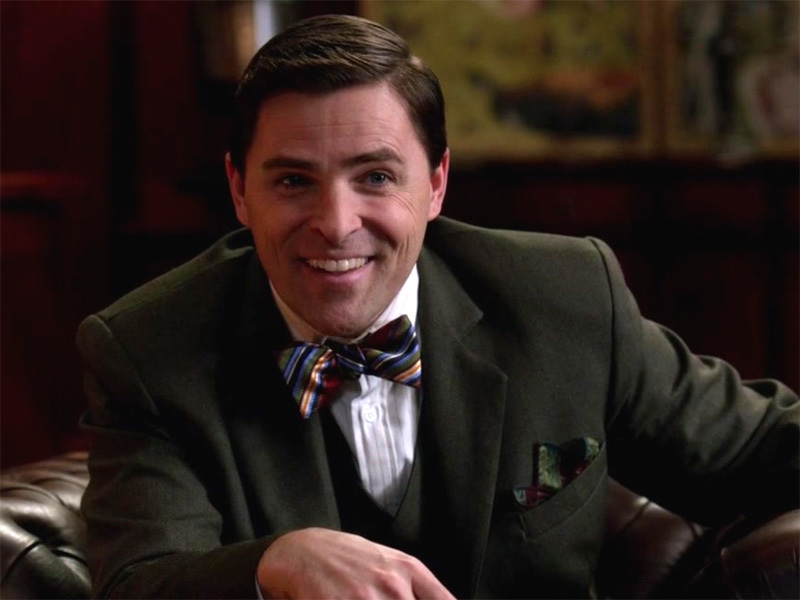 When he was cast on Supernatural it was for “Monster Movie,” a stylish, black-and-white episode in the fourth season. Garry played Sheriff Deitrich — who meets Dean and Sam when they show up to investigate a vampire murder in his Pennsylvania town. The Sheriff takes the boys (who are posing as F.B.I. agents) to the morgue to examine the victim’s body. 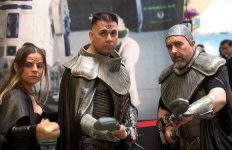 Mike played at least half a dozen different roles on Stargate (appearing on all three shows), but the longest was the Lucian Alliance soldier Varro (SGU Season Two). 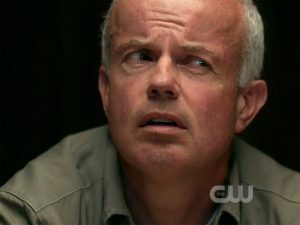 On Supernatural he played Jim Jenkins, a Wyoming man who miraculously survived being shot in the chest in the Season 4 episode “Death Takes A Holiday.” As it turns out he was a beneficiary of the work of Alastair, who was interfering with the normal process of death by kidnapping Reapers. 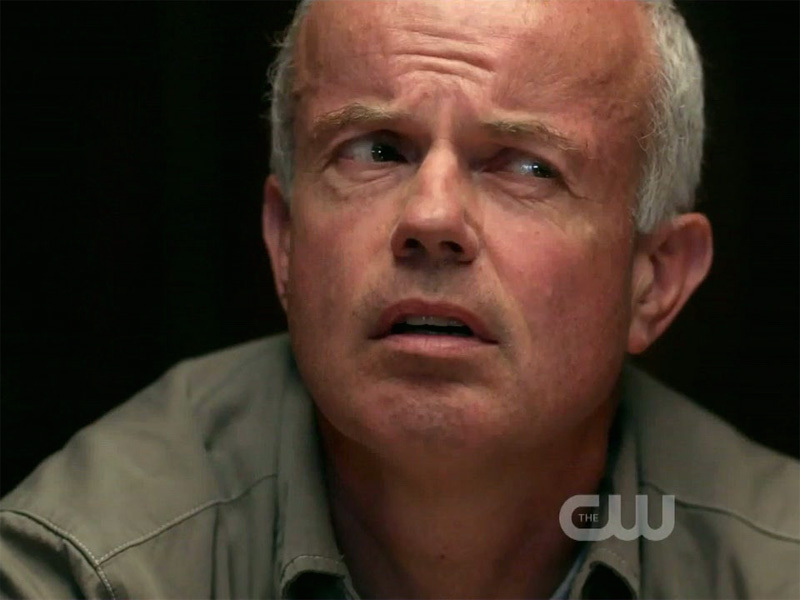 Paul is one of those Stargate favorites who played two different characters on Supernatural. 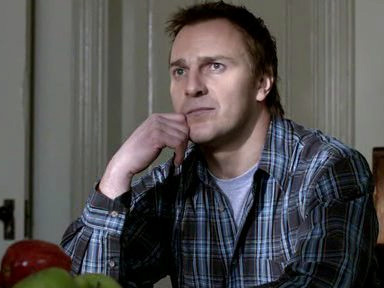 In 2009 he appeared in the episode “Fallen Idols,” as a man falsely accused of killing his best friend. (Turns out a pagan god did it.) Then Paul was back in Season 10 to play Peter Harper in the episode “There’s No Place Like Home.” A district attorney in Topeka, Kansas, Harper is attacked by a red-haired woman (played by Felicia Day) looking for information about an old case. 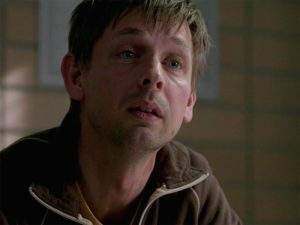 He’s eventually confronted over the case by Sam and Dean. 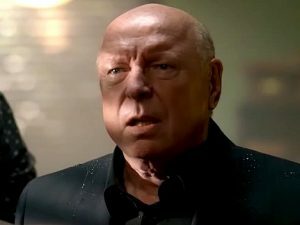 Don Davis played an important role in Season 3’s “Sin City,” where Sam and Dean discover that demons have turned a small Ohio town upside-down. Trotter was once a fine, upstanding citizen — but after meeting a demon in disguise he was convinced to introduce gambling and prostitution to the town of Elizabethville. With the demons prompting citizens to embrace their worst vices, Trotter ended up a de facto mob boss who controlled the town. Stargate’s own Dr. Lee has made two appearances on Supernatural to date: in 2012 as Doctor Kadinsky (“The Born-Again Identity”), and just recently in this season’s “Peace of Mind.” In a picturesque little Arkansas town, Sam and Castiel discover that — spoiler alert — nothing is quite as it seems! Plot twist. The mayor of Charming Acres is Chip Harrington (Bill Dow), who welcomes to duo to their little hamlet. But Mayor Chip, too, isn’t quite as he seems! In Season 10’s “Halt and Catch Fire” Sam and Dean chase a ghost who is using electronic devices to target and kill people — looking for revenge on a group of college students. When they arrive at the sorority house they encounter a police detective who is also there on the case, and who tells them she doesn’t yet have any suspects. Recognize the detective? That’s Nirrti herself, Stargate’s Jacqueline Samuda. David’s two episodes came back-to-back early in Season 10. Lester Morris is distraught after learning about his wife’s infidelity, and Sam offers him some help. Lester summons a crossroads demon, but before Sam can trap the creature Lester strikes a bargain: he wants his wife dead. After a scuffle with Dean, Lester is stabbed and killed — denying the demon his soul. Tom “Beer and Mustard Diet” McBeath played Mr. Carey, father to Scott Carey, in the show’s second season. 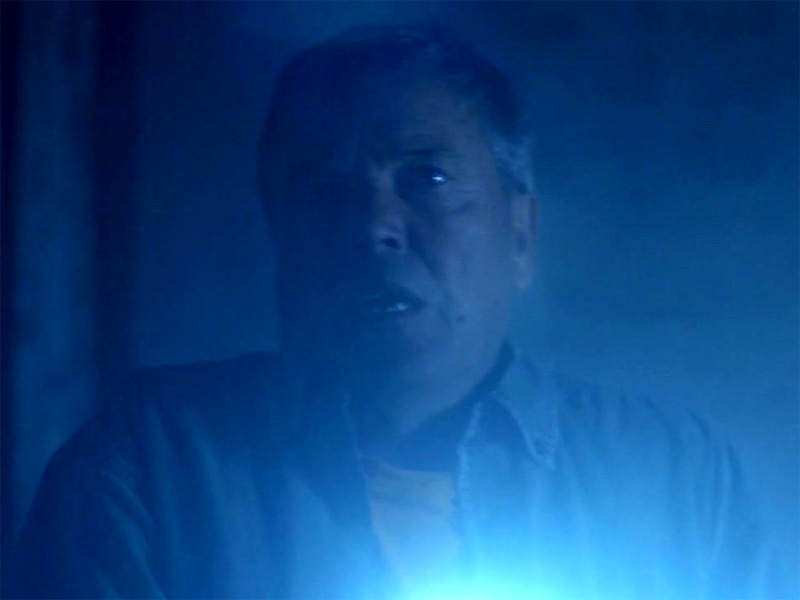 In the 2007 episode “Hunted” Scott is killed, and Sam pays his father a visit to try and figure out why. Six years later Tom was back in the episode “Bad Boys,” playing Jack — a farmer pinned by a tractor in his barn and killed in the episode’s opening minutes. Was Jack targeted in a revenge killing by a … g-g-g-ghost? Comtraya! 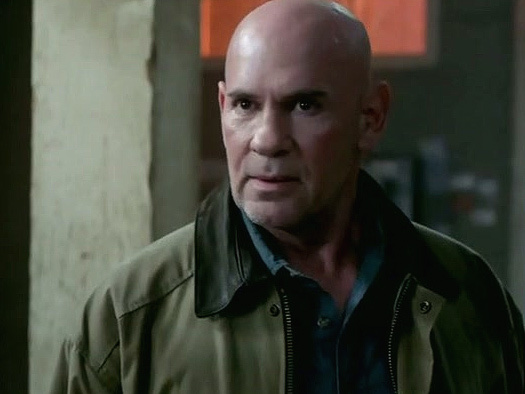 Stargate’s favorite Altairan also appeared in two different roles on Supernatural, four years apart. 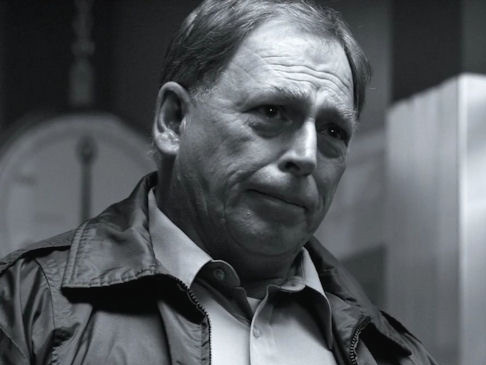 After playing a nondescript librarian in “Provenance,” he returned in 2010’s “My Bloody Valentine.” Dr. Corman was a medical examiner at the Plainville mortuary, who aided Dean and Sam when they arrived to investigate a pair of deaths. Having been sober for 20 years, Corman was soon found to have drunk himself to death under the influence from Famine, one of the Four Horsemen of the Apocalypse. He was a fixture inside the control room at Stargate Command, dialing the gate and opening the iris for 10 years. Gary’s part in Supernatural came in Season 7. “The Mentalists” opens with an eager wife and a skeptical husband (Jones) who are participating in a séance by a psychic named “Grandma Goldy.” Then, by all crazy appearances, the psychic is killed by the spirit she has summoned. Close the iris! Stargate Universe actress Julia Benson (née Anderson) appeared in the 2007 episode “Sin City,” where she played a woman at Trotter’s bar. (She’s in the episode’s credits as a prostitute.) The Winchesters show up in town to investigate a rash of violent deaths, eventually finding that demons have possessed the townsfolk and are causing them to succumb to their basic instincts. 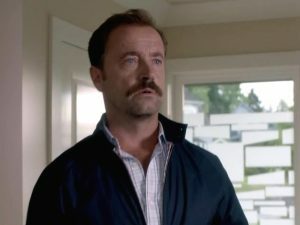 Before he was trapped on board the Destiny (where his character ultimately committed suicide), Josh Blacker appeared in the first season of Supernatural. In the episode “Salvation” he plays Caleb, a family friend of the Winchesters. Caleb was captured by the demon Meg, who used him in an effort to coerce John Winchester … before slitting his throat. Yikes! 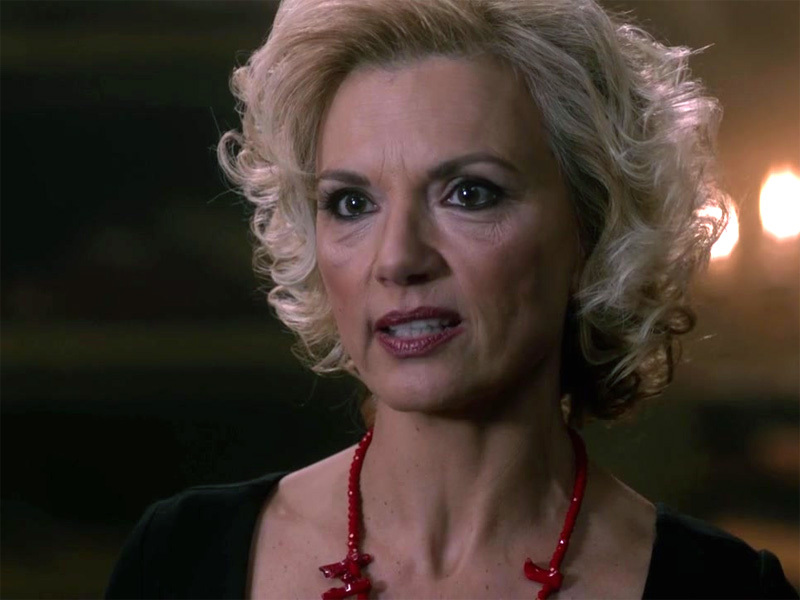 Jennifer’s turn on Supernatural is in the astonishingly titled “Plucky Pennywhistle’s Magical Menagerie” (2012), in which she played the manager at a kids birthday party destination in Wichita, Kansas. Jean was interviewed by Sam Winchester, and for a time was a suspect in a series of murders connected to the store. Kathleen Munroe played two different minor characters on the show. 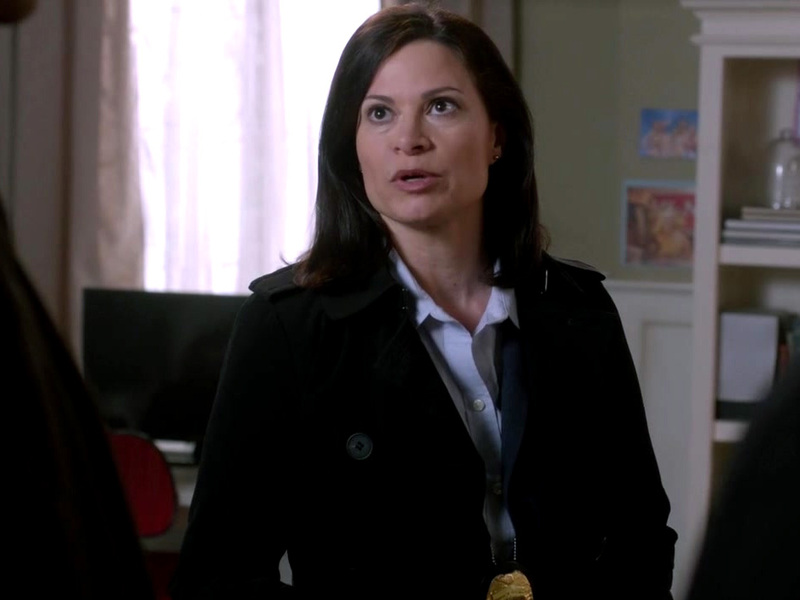 First she was a mom in the 2007 episode “The Kids Are Alright.” When she came back in 2012’s “Citizen Fang,” the actress was managing a gumbo restaurant — unaware that one of her employees, Benny, might be behind a series of vampire killings. In 2013’s “LARP and the Real Girl,” Haig plays an accountant and Live-Action Role Player (a.k.a. “Greyfox the Mystic”). Lance was brought in for questioning by Sam and Dean, but didn’t make it much past the Q&A. When they left to check up on his alibi, Lance started coughing up blood. Soon he was dead on the floor of the interrogation room, the victim of a Celtic curse. There are a bunch of actors who have appeared on both series that we haven’t mentioned — hundreds, according to IMDb! Who else do you remember from the Stargate family turning up on Supernatural? You’re right! I’ve correct that line. Mike played not only Varro, Kiryk, and Odai Ventrell, but (less prominently) also Russian Colonel Chernovshev, a Genii soldier, a Jaffa, and a Eurondan. 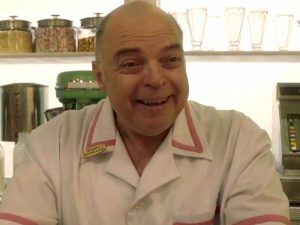 I only remembered Dean Marshall after looking up his filmography upon recently seeing him in The Magicians with Jewel.